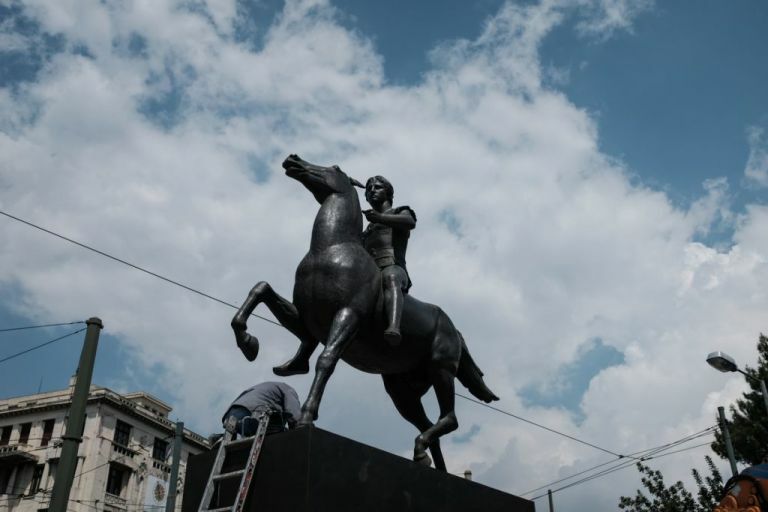 Some revisionists of ancient history, in their attempt to promote their modern ultra nationalist agendas in the lower Balkans, have posed a question: what are the differences between the ancient Macedonians and the ancient Greeks? 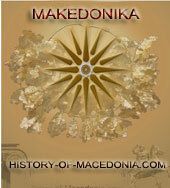 “What are the characteristics that make the Macedonians distinct and make them stand out from the other Greeks ?”. The question as originally posed is as much an oxymoron as attempting to define for example “the differences between Venetians and Italians”, or “the differences between the Thebans and the Greeks”. True, the Venetians were an independent state for a long time, fighting against the Pisans, the Genovese or the Florentines, and other Italians, but they were then, during the Renaissance, and they are still now, part of the whole to which they belong: the Italian nation. The same analogy holds for the Thebans and the other Greeks, or the Macedonians and the other Greeks. The question, therefore, has a hidden trap embedded in it, a trap intended for the ill-informed and it has precious little to do with the ancient Macedonians and the other ancient Greeks in themselves. It has rather everything to do with the modern geopolitical situation simmering in the corner of the Balkans that used to be south Serbia, was later on named Vardarska Banovina and is now an independent state recognized by the UN as FYROM. The trap is obvious to the student of the modern Balkans since a lot of trees have been sacrificed in propaganda laced articles in the attempt to create an identity for a Slavic population that is transitional between Bulgarians and Serbs but is neither. The first victim of this attempt has been, since 1944, as expected, the Historical truth. The issue of the ethnic character of the ancient Macedonians, and their position in relation to the other Greeks, to the ancients was simply non existent. 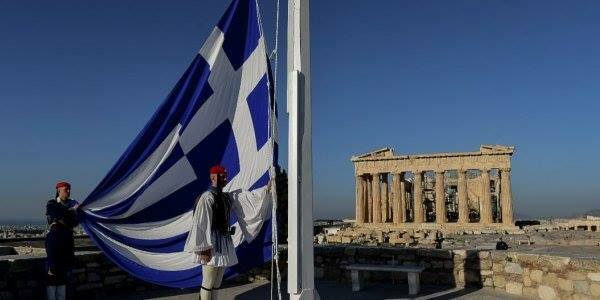 Ethnicity as it is understood in the modern sense of the word did not even exist as a concept for the ancients. People thought and felt and acted more within the confines of a narrow tribal identification; a tribal identification that contracted and expanded, included or excluded and in a vibrant and dynamic society such as the Greek one, it was never static. At any time everyone knew who everyone else was. But the perceptions were never as clear as saying today “I am German” and “you are French”. Greeks and others knew that a Syracusan of Cicily, an Odessan of Thrace, a Panticapaian of Skythia or a Massalian of Gaul though citizens of cities that were not geographically located in Hellas, were all Hellenes and their city states were Hellenic in nature. Despite the immense geographic distance between them, (one living in today’s France or Italy, the others in modern Bulgaria or Ukraine) and the many differences between themselves, they all shared common traits and were all considered, at the end of the day, people of the same extended ethnic group. The Greeks instinctively also knew that people like the Persians, Egyptians, Thracians, Romans or Illyrians, to name but a few, were completely alien to their own broadly defined ethnic family. The definition of who was a Greek in many respects was clear, and it included language, religion and culture, but not without instances of hazy areas, especially in transitional periods, borderline areas, or for people of mixed parentage, such as was typical in Ptolemaic Egypt. And the Aetolians were led by Thoas, Andraemon’s son, even they that dwelt in Pleuron and Olenus and Pylene and Chalcis, hard by the sea, and rocky Calydon. 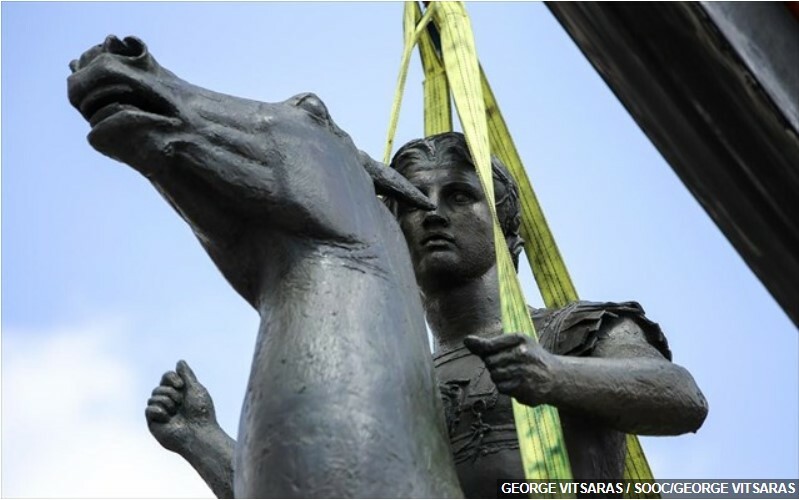 For the sons of great-hearted Oeneus were no more, neither did he himself still live, and fair-haired Meleager was dead, to whom had commands been given that he should bear full sway among the Aetolians. And with Thoas there followed forty black ships. The Aetolian nation, although numerous and warlike, yet dwelt in un-walled villages scattered far apart, and had nothing but light armor, and might, according to the Messenians, be subdued without much difficulty before succors could arrive. The plan which they recommended was to attack first the Apodotians, next the Ophionians, and after these the Eurytanians, who are the largest tribe in Aetolia, and speak, as is said, a language exceedingly difficult to understand, and eat their flesh raw. The expression “ὡς λέγονται / as is said” betrays that Thucydides himself never visited Aetolia and had no personal experience of the Aetolians. 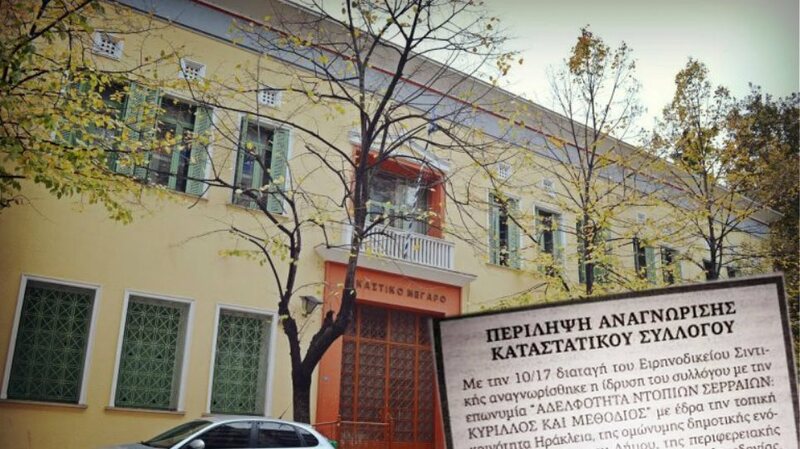 μετὰ δὲ γενεῇ δευτέρῃ ὕστερον Κλεισθένης αὐτὴν ὁ Σικυώνιος τύραννος ἐξήειρε, ὥστε πολλῷ ὀνομαστοτέρην γενέσθαι ἐν τοῖσι Ἕλλησι ἢ πρότερον ἦν. Κλεισθένεϊ γὰρ τῷ Ἀριστωνύμου τοῦ Μύρωνος τοῦ Ἀνδρέω γίνεται θυγάτηρ τῇ οὔνομα ἦν Ἀγαρίστη. 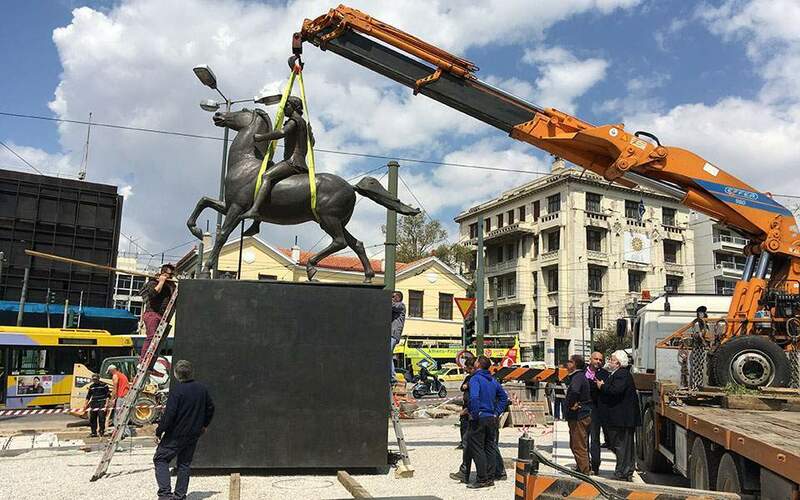 ταύτην ἠθέλησε, Ἑλλήνων ἁπάντων ἐξευρὼν τὸν ἄριστον, τούτῳ γυναῖκα προσθεῖναι. Ὀλυμπίων ὦν ἐόντων καὶ νικῶν ἐν αὐτοῖσι τεθρίππῳ ὁ Κλεισθένης κήρυγμα ἐποιήσατο, ὅστις Ἑλλήνων ἑωυτὸν ἀξιοῖ Κλεισθένεος γαμβρὸν γενέσθαι, ἥκειν ἐς ἑξηκοστὴν ἡμέρην ἢ καὶ πρότερον ἐς Σικυῶνα, ὡς κυρώσοντος Κλεισθένεος τὸν γάμον ἐν ἐνιαυτῷ, ἀπὸ τῆς ἑξηκοστῆς ἀρξαμένου ἡμέρης. ἐνθαῦτα Ἑλλήνων ὅσοι σφίσι τε αὐτοῖσι ἦσαν καὶ πάτρῃ ἐξωγκωμένοι, ἐφοίτεον μνηστῆρες: τοῖσι Κλεισθένης καὶ δρόμον καὶ παλαίστρην ποιησάμενος ἐπ’ αὐτῷ τούτῳ εἶχε. In the next generation Cleisthenes the tyrant of Sicyon raised that house still higher, so that it grew much more famous in Hellas than it had formerly been. Cleisthenes son of Aristonymus son of Myron son of Andreas had one daughter, whose name was Agariste. He desired to wed her to the best man he could find in Hellas. It was the time of the Olympian games, and when he was victor there with a four-horse chariot, Cleisthenes made a proclamation that whichever Greek thought himself worthy to be his son-in-law should come on the sixtieth day from then or earlier to Sicyon, and Cleisthenes would make good his promise of marriage in a year from that sixtieth day. Then all the Greeks who were proud of themselves and their country came as suitors, and to that end Cleisthenes had them compete in running and wrestling contests. What prompted the Athenian Thucydides to call the Aetolian Greeks barbarian is first their incomprehensible (to an Attic-speaking Greek of Athens) dialect and, equally important, their primitive way of life (un-walled cities!) which was indistinguishable from that of the barbarians that Thucydides knew. They were in a society that was light ages behind in culture and sophistication compared to that which the Athenians had reached by the fifth century BC. Incidentally, the dialect of the Aetolians, that seemed so ἀγνωστότατη/ incomprehensible, difficult to understand for Thucydides is the same Northwest Greek dialect that the Epeirotes and the Macedonians and the people of Delphoi spoke. SLOVENIA ALSO BEING A FORMER YUGOSLAVIAN COMMUNIST SLAVIC COUNTRY!WHO UNDERSTANDS THE HISTORY OF THE SLAVIC PEOPLE AND THE ORIGIN OF THE SLAVIC RACE!MUST NOT SUPPORT FYROMS COMMUNIST LIES&PROPAGANDA!IN REGARDS TO MACEDONIAS HISTORICAL HELLENIC LEGACY!BY RECOGNIZING TITOS COMMUNIST LIES INSTEAD OF THE HISTORICAL TRUTH!YOU ENCOURAGE THEIR PROVOCATIONS OF TERITORIAL CLAIMS ON HELENIC SOIL!WHICH IS A THREAT FOR WAR!AND THE POSSIBILITY FOR ANOTHER MAJOR BALKAN WAR!YOU VERY WELL KNOW FYROMS NAME WAS VARDASKA BANOVINA!NOT MACEDONIA!